«It also has an immediate impact on the health, mental health and development of children,» said Halfon, a professor of pediatrics, public health and public policy. But which comes first — obesity or the other health concerns — is unclear. Also unknown is whether additional factors might play a role in both conditions. For the study, Halfon used weight and other health-related data from the 2007 U.S. National Survey of Children’s Health on nearly 43,300 kids aged 10 to 17. Fifteen percent of the children were overweight and 16 percent were obese. The analysis turned up an association between obesity and 19 measures of general health, psychosocial functioning and specific health disorders. Childhood obesity has tripled in the past 30 years in the United States, according to the U.S. Centers for Disease Control and Prevention. About 12.5 million children and teens (17 percent) are obese. Other childhood-onset health conditions such as attention-deficit/hyperactivity disorder (ADHD), asthma and learning disabilities have increased during the same period, suggesting some common links. Halfon used standard definitions of overweight and obesity based on body mass index (BMI), a measurement of height and weight. Overweight is a BMI of 25 to 29.9 (in the 85th to 94th percentile); obesity is a BMI of 30 or more (95th percentile or higher). The study, published online, will appear in the January/February print issue of the journal Academic Pediatrics. Compared to normal-weight children, obese kids were more than twice as likely to have health considered poor, fair or good, versus very good or excellent, Halfon said. 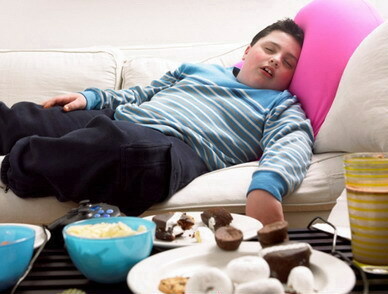 The obese children were also more likely to have activity restrictions, to repeat grades, to miss school, to internalize problems, to have behavioral conditions such as ADHD or conduct disorder, or learning disabilities. Problems with muscles, bones and joints were also more common, as were asthma, allergies, headache and ear infections. Overall, the obese children were almost twice as likely to have three or more mental health, developmental or physical health problems as normal-weight youngsters. For overweight kids, the effect was less pronounced, Halfon found. They were 1.3 times as likely as normal-weight kids to report three or more health conditions. Although the study establishes a link between obesity and other health problems, the research doesn’t prove a cause-and-effect relationship. And it’s not clear which way the association goes. For instance, toxic stress early in life could drive some of the health conditions, he noted. Halfon said his large, national study echoes some evidence found in smaller studies. So far, experts have focused on long-term problems related to obesity in childhood, Halfon said. Now, they should consider more immediate effects, he noted. The new study »points out the need to care for the whole child and not to focus [only] on the physical health of these children,» said Dr. Rachel Gross, attending pediatrician at the Children’s Hospital at Montefiore Medical Center in New York City. One limit of the study, she said, is that it collected information only at one point in time, which makes it difficult to determine which came first, obesity or the other problems. Given the findings, what can a concerned parent do? «A good place to start is to begin to think about healthy habits for the whole family,» said Gross. She suggests working together to make small changes that will help with weight control. For instance, a family can eat healthy meals together or vow to eat more fruits and vegetables daily. Also, she said research studies are needed at younger ages to pinpoint more precisely the links between weight and other health problems.